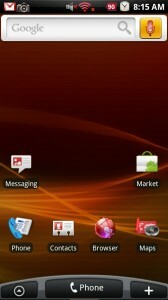 Been waiting for a SenseUI styled launcher/home replacement to work with your 2.1 Motorola Droid? Check out Panda Hero in the Market. There are lite and paid versions with the paid version running at a fairly steep price of $3.99. The full version does come with a few of Panda Hero’s widgets which include a contact widget comparable to that on an HTC device. I was unable to get live wallpapers to work, but I could also be impaired. Can someone else who has used this app second or refute that claim? My suggestion, put in some work on the free version if you’ve really been looking for the Sense launcher before forking out that kind of dough. Verizon: Incredible Power Cycle a "Known Issue"